Wine and travel writers will descend on Perugia for the 2012 International Wine Tourism Conference & Workshop. Prior to the conference they will visit Orvieto, Montefalco and Torgiano. Post Conference trip will take them to discover the wines of Campania. During the 3 days of conference they will be at it again with a packed evening programme of activities. One of which will be a visit to nearby Goretti. The vineyards of ‘Azienda Agricola Goretti’ stretch over the gently rolling Umbrian hillsides on the outskirts of Perugia city. The Goretti estate is dominated by a twelve-century tower which is of historical interest and it is now used for wine tastings. The Gorrotti family run winery produces approximately 360,000 bottles (about 30.000 cases) of exceptional wine each year. Their award winning vineyards yield white, red and rosé wines. They also produce sparkling wines, Vinsanto, Novello, three types of grappa, 20-year-old Brandy, extra virgin olive oil, balsamic vinegar and honey. 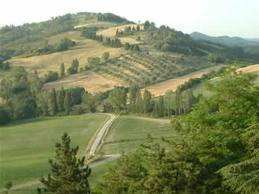 Umbria is a region of great historical significance to central Italy because of the influences of both the Etruscan and Roman people. 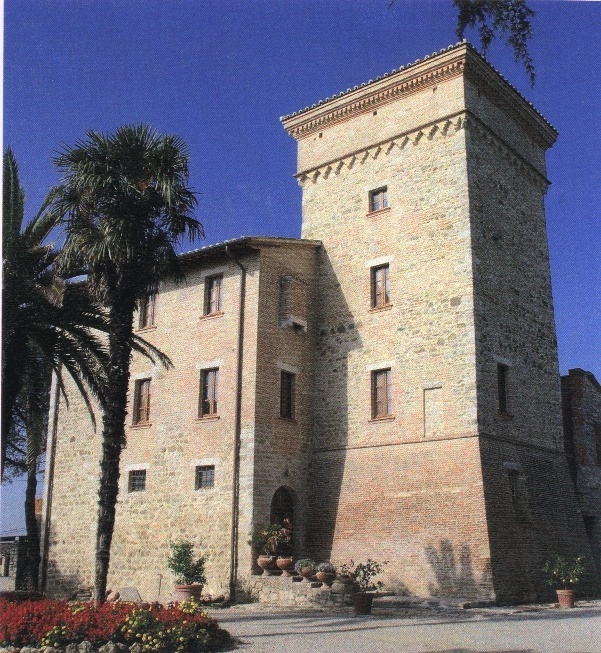 There is a 14th century tower located on the winery’s property. Goretti vineyards are located in the heart of an area classified as “D.O.C. Colli Perugini”, as well as in an area classified as “Montefalco D.O.C.G.”, where the celebrated Sagrantino di Montefalco wines are produced. 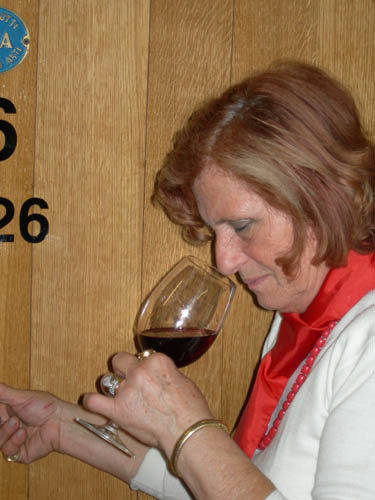 The Goretti cellars have been handed down from father to son for four generations, making them yet another family owned and operated producer of top-quality wines. Oenologists, Vittorio Fiore and Barbara Tamburini, are involved in every stage of the wine-making process, from grape selection to bottling, the culmination of a year’s worth of hard work. But don’t worry if you are not on the Blogger/Media group! A visit to Goretti is also available as an option in a packed social programme during the 3 day conference. Sara Goretti will will be leading wine lovers through the winery and finishing up with a tasting and food matching extravaganza. Very much looking forward to this visit.